At its most basic, productivity is all about getting as much done as possible in a given period of time. Improving your efficiency is certainly one way to accomplish that; completing aÂ task in less time does let you move on to the next. The problem with that strategy is that you sacrifice the future for the benefits in the present. Whenever I find myself considering a shortcut that I know will have consequences later, I try to think of how I’ll feel and see if it’s still the right thing to do. I refer to it as remembering my future self. We’re all guilty of it. A messy desk, piles of dishes by the sink, a burger for lunch instead of a salad, etc., etc. Sometimes the tradeoff is fair. We do seem to be the most forgiving of ourselves, right? At it’s worst, you really are sticking it to yourself and that might not be so wise. Professionally in IT, I’ve been guilty of this mostly when it comes to documentation. “Oh, I’ll remember” or “I can just Google it” are easy excuses for not taking the time to record the challenges and solutions encountered in solving a particular problem. The problem hits an altogether new level when you’re in a larger organization and the simple truth is you may not be the one in the future that has to deal with the consequences of the shortcuts taken. You may be in a different role or not even with the org anymore. “Eh, what do I care?” That can actually be dangerous thinking and I suspect it plays a part in many of the information security incidences we see: shortcuts for expediency with little forethought on what the implications are down the road. Management can also foster such short-term thinking with shifting priorities and ever-constrainingÂ budgets. I think the worst of all can be see in politics with things like bond measures. A politician gets the PR win for getting a spending proposal approved and they’re long out of office by the time the bill comes due. I suppose they actually are thinkingÂ of their future selves. Sad. Sorry for the little rant there. 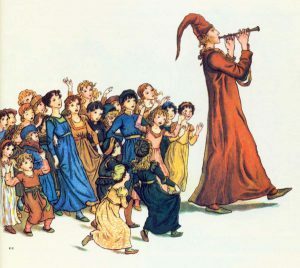 Ultimately, everyone will have to pay the piper at some point. It may be you. It may be someoneÂ else. If you’re not sure, do the decent thing and at least be considerate. If it will be you, be smart and consider your future self.